If there’s anything that Sonny Bono proved, it’s that you don’t have to be the handsomest, tallest, or most talented dude in the room in order to get next to someone like Cher. All you gotta have is the best, most swinging’est hair (and maybe be able to, at a minimum, pull off a brown fringed vest). So if dancing and singing with super hot music stars slash actresses is what you envisioned doing with your life - and let’s face it, if it’s not, then we might need to have a talk about wanting more for yourself - then we've Got You (covered), Babe. Literally! 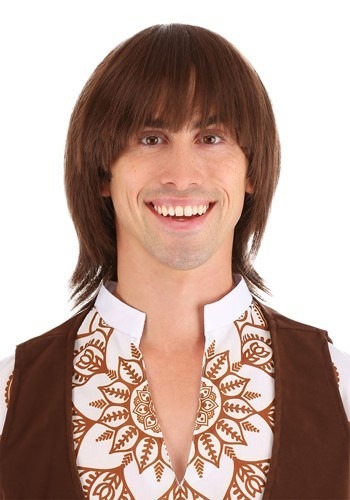 This Sonny Boy Hippie Wig lets your free love '60s hippie spirit rise to the surface, setting you up for the kind of love affair that will lead to your own variety show, and later, a mayorship of Palm Springs!